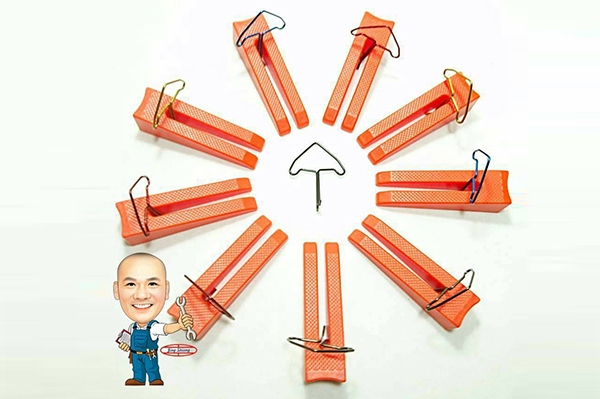 With well-honed R&D and tooling capabilities, Jing Shiang International Trade, a professional supplier of tile tools and ceiling and wall claddings, has launched a variety of reusable tile leveling systems, to meet trends for eco-friendly tileworks. During the installation of ordinary tires of ceramics or stones, tile leveling systems are a necessary tool for preventing lippage and ensuring flat tile surface. However, as part of a conventional leveling system, a plastic spacer is inserted below adjacent tiles but can't be either recycled or reused at all after the leveling work, to cause concerns about environmental protection. To address the problem, J.T. Deng, Jing Shiang's owner, draws on its decades-long expertise at masonry and ceramic tileworks, and has worked out a variety of 100% recyclable leveling systems that appeal to customers and end-users with the combination of convenience, quality and environmental friendliness. After witnessing its “Dragonfly Buckle Leveling System” receive positive feedback from end-users last year, the company has continued to launch “Easy Buckle Leveling System” and “Spade Buckle Polished Quartz Brick Leveling System” for promotion this year. 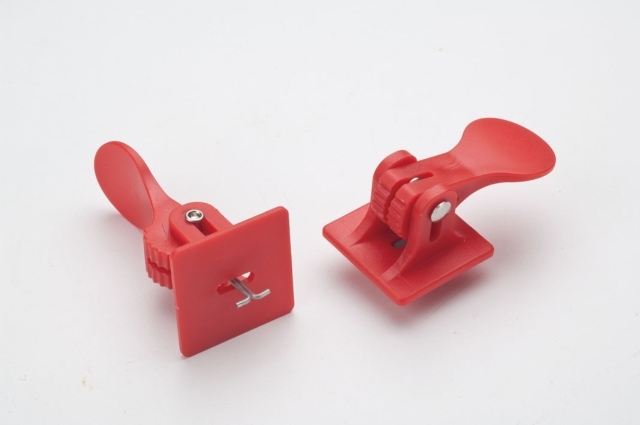 “Easy Buckle Leveling System” ensures surface flatness by rotating the wedge by 90 degrees after being sandwiched in the gap of 2-5mm between the tiles. Suitable for masonry tiles, “Spade Buckle Polished Quartz Brick Leveling System” can handle a gap of 2-8mm and assure users of as flat surface as possible when used with a wrench. With the innovative, easy-to-use and eco-friendly leveling systems having been protected by patents in Taiwan and the U.S., the company welcomes cooperation with trading companies and agents from all over the world.